Lexus GS Performance, Engine, Ride, Handling | What Car? 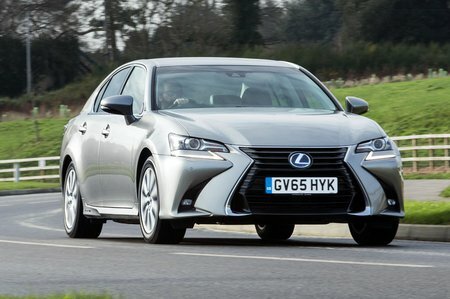 The mainstream GS models are both petrol-electric hybrids - the 300h and 450h. The former pairs its electric motor with a four-cylinder engine to make over 200bhp, while the latter features a 3.5-litre V6 engine that combines with electric drive to generate almost 350bhp. The 300h’s electric motor produces more torque than its engine, and in fact it can drive on electric power alone at speeds up to 46mph, whereas the 450h can only manage 25mph without firing up its engine. In reality, you won’t get far in either car on electric power alone, and their electric-only range is just over half a mile each, but that is to miss the point - while anything more than a gentle push of the throttle pedal will awake the petrol engines, they fire up with almost undetectable smoothness and will rarely disturb the peace in give-and-take urban traffic. The 450h is claimed to reach 62mph in less than six seconds, but it doesn’t feel quite that fast, while the 300h feels swifter than its 9.0sec rating. 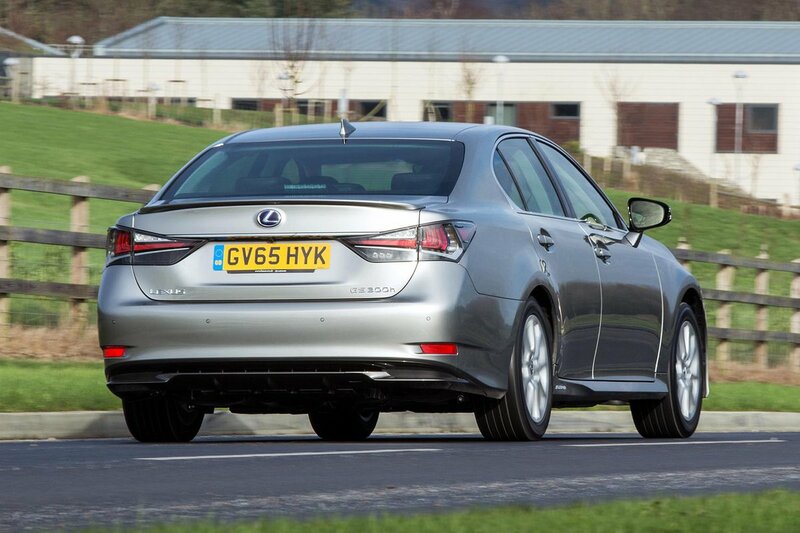 Push hard, though, and the CVT gearbox pins the engine at high revs, which becomes grating. Both are enjoyably refined when cruising on the motorway, though. The standard steering and ride of the GS hybrids are comfort-focused, which is great for leisurely drives but means they can’t match the dynamic prowess of the lighter and quicker-witted BMW 5 Series and Jaguar XF. The F Sport and Premium versions feature adaptive damping that can tighten up body control - albeit to the detriment of ride quality - while the F Sport additionally gets quicker steering and a four-wheel-steering system that help it turn in to corners more crisply. The GS F is a totally different animal, with a 5.0-litre V8 that springs into life above 3800rpm and revs all the way to 7300rpm, its growling bellow getting louder and more manic as it goes. It reaches 62mph in less than five seconds. With lots of performance-focused dynamic upgrades, it has a much firmer ride but changes direction with real athleticism. The suspension comes with switchable dampers that get firmer still in the sportier drive modes. While the ride gets harder, it’s never harsh and copes with bucking B roads surprisingly well, controlling the body’s movements better than in comfort mode. It’s downfall is the indecisive eight-speed automatic gearbox, though, which fails to select the gear you want, when you want it, making it hard to get the best from the characterful engine.